When considering bathroom renovations to spruce up the space and make it provide more in terms of functionality, it is imperative that you choose your Nanaimo plumbing contractor wisely for the best results. The beginner contractors pump up the expectations of customers without delivering on their promises. To avoid the unexpected surprises while working with your preferred plumbing contractor, it is important that you foresee any potential problems that are likely to plague your bathroom remodel work, especially by investigating fixtures and pipes. If you would like your older bathtub replaced with a newer one, the main trouble will be accessing the supply lines and drain lines. The tub, on the other hand, should present no problems. The cast iron tubs are very heavy, which means there might be need to break up yours if your bathroom has one. Steel or fibreglass tubs can be removed in a single piece. Even if your tub can come out in a single piece, your Nanaimo plumbing expert will first check that it fits through your bathroom’s doorway, through the hallway, or stairs. When considering bathroom renovations and part of the job involves replacing the tub, the contractor must take the correct measurements and carry out a site review. Removing the older sinks or vanities is a straightforward job. However, the plumbing contractor might run into issues with the sizes of the pipes and corroded fittings, which might require extra or different fittings. Prior to commencing any bathroom renovations, contractors examine the fittings and supply tubes beneath the sink. In most cases, the shutoffs are frozen in an open position, thereby making the replacement job even more difficult, particularly if no main primary shutoff exists for the entire fixture group. The old, corroded fittings can easily develop problems in the future. To avoid any future complications arising from the corroded fittings, a Nanaimo plumbing expert often prefers to replace the supplies. The greatest problem is subsurface water damage. Leaky shower valves can cause extensive damage to your structure. Almost all kinds of damage in your stall showers may remain hidden until your plumbing contractor removes the fixture. Instead of assuming that all customers are happy with standard shower heights, a good plumbing contractor will ask you to stand in the shower space so that you tell him or her where your ideal shower head and valve should be located. Working in damp crawlspaces can be quite uncomfortable. If you would rather work on your own bathroom renovations in Nanaimo, then you should remember to lay plastic sheets or build wooden catwalks that will help to keep you and your tools and materials dry. Plumbers additionally install string lights and other temporary forms of lighting, especially when they intend to work in crawlspaces for many hours. When considering bathroom renovations, it is imperative that you consider the factors discussed and consult widely with potential Nanaimo plumbing contractors. 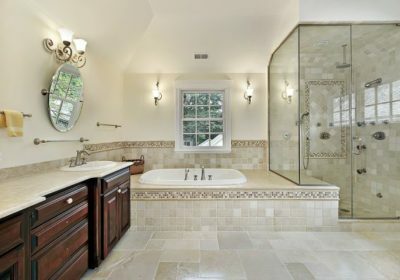 This will help you determine the best professional for your bathroom remodel project. With proper planning and a professional site survey, your contractor will effectively prevent problems that could affect the outcome of the project. Which Kitchen Benchtop Ought to You Select For Your Luxurious Kitchen?